When real-life Internet stars like the Magnificats, Waffles, Lil Bub, and others, asked to take part, Indie Pop Artist Kazzey knew Meow! was something special. When Indie Pop Artist Kazzey’s good friend and movie editor Eric Vallee sent him an “angry guitar riff,” he had no idea he was at the start of something big. For whatever reason, it reminded Kazzey of Ian, who Kazzey lovingly refers to as an “angry” cat. He had disappeared from their previous home, but was miraculously found some six months later having doubled in size. This is Ian, the inspiration behind “Meow!” A roommate’s cat who had been introduced to him by his owner as “angry,” it took time and patience, but Kazzey and Ian eventually became best buddies. When Ian disappeared, it devastated everyone, but 6 months later, a neighbor shared he had been found…twice the size of when he left! And snowball, it did, with real-life Internet cat stars like the Magnificats, Waffles, and Lil Bub, among others, asking to be a part of this project, but there is something else that Kazzey felt made the video even more compelling. While the vibe of the song is fun and lively, it also draws attention to these remarkable cats who have found their own bit of fame after living through their own challenges. The moving stories like that of Anakin, the two legged cat who was born without a pelvis, Frosty, the frozen kitten who was found nearly frozen to death, Lil Bub, affected by osteopetrosis, Sauerkraut Kitty, who needs to wear clothes because of her hypersensitivity , or Sunglass Cat, who needs to wear sunglasses because he has no eyelids, serve as a reminder to all of us that each and every cat has value and often looking beyond the superficial will result in a cherished friend and companion for life. 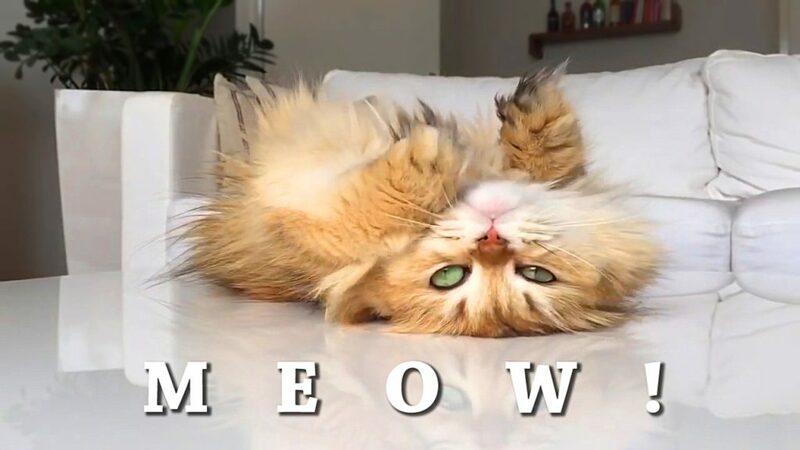 CHECK OUT THE PREMIER OF MEOW! Thank you, Kazzey, for letting us be among the first to share this! To see more of Kazzey’s great stuff, visit his Kazzey,com website, YouTube Channel, Facebook page, follow on Twitter, and listen to more of his music on SoundCloud.